I always enjoy attending Canadian Society of Respiratory Therapists (CSRT) conferences, as there are variety of speakers, topics and streams. In May 2107 at the CSRT Conference in Halifax, I attended a talk, titled ‘Creating a Regionalized Lung Health Program’, by Christina Dolgowicz and Michelle Maynard. While I enjoyed the talk, I was more blown away by the dedication and hard work of the speakers. As I slowly become more involved with the RT community, read articles and speak to healthcare providers, I hear more about Christina’s work. Some of her current and past roles include Chair of Champlain LHIN Lung Health Network, Lung Health Coordinator, Certified Respiratory Educator, RRT at The Ottawa Hospital, member at Quality Ontario and many other RT roles. Her contributions in the respiratory field vary from direct patient care and education, advisory to policy making, to establishing and promoting community-based pulmonary rehabilitation program. Christina is highly respected among her colleagues and in the RT community, so I was delighted when she agreed to answer few questions about her journey, thoughts and views. So I looked into the courses that Algonquin College offered and it was between Respiratory Therapy and Diagnostic imaging… I met with the Anita Gallant (course coordinator at the time) to find out what being an RT was all about. To be honest, the only thing that stuck with me was: I got to wear scrubs and hold a pager – that sounded like being a doctor and looking like they do on the TV show ER – so I applied – and got in! It was during that first week that I found out what RTs do –like an ABG! 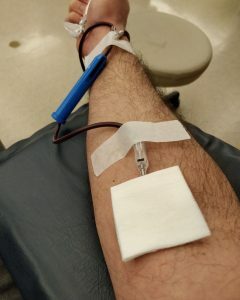 (up until that point I did NOT do well with blood) so I almost dropped out… but thankfully I met some awesome classmates and stuck it out. To be honest, I have been lucky to enjoy all of the roles I have worked thus far. I started originally at the Ottawa Hospital (2004) and despite working full time in the community now, I still work casual at the hospital. The hospital allows you to react quickly to critical situations and work as part of an interdisciplinary team – RNs, PTs, MDs and other RRTs. It’s professionally and personally rewarding – you get some great experience and make lifelong friends along the way. Currently – my role as coordinator of the Lanark Renfrew Lung Health Program – is my most exciting role so far. I work with an awesome group of RRTs who are passionate about lung health in primary care (education, early screening, management, rehab) and their passion and wanting to make a change (and willing to say yes to opportunities that come our way) is what makes my job so much fun. What is your passion that drives you each day working as an RT? My passion is seeing the difference our program makes in peoples lives. In my current role, unfortunately I have less contact with clients, but I hear the stories through the rest of the team I work with. Occasionally I get to work out in the rehab program and it’s a humbling experience to see the daily struggles that people with chronic lung conditions live with. 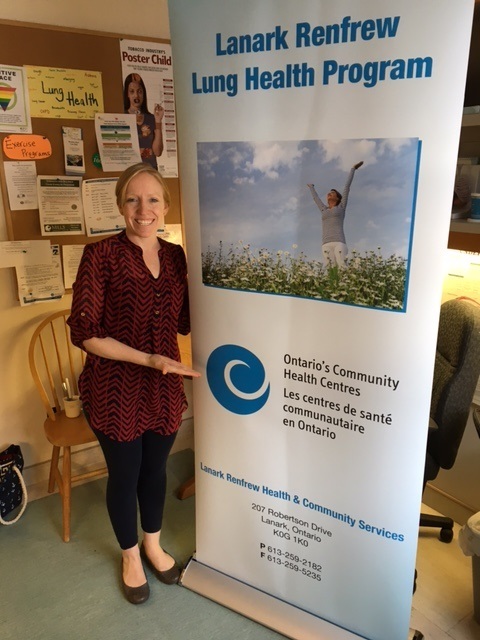 I also hear about frustrations from clients in regards to the lack of services that are available – and this also drives me to work harder in creating partnerships with other organizations to increase access to lung health services in primary care. How did you get involved with promotion, initiations, implementations and operation of community lung health education and community-based pulmonary rehab programs? I originally started working in primary care in 2006 at the North Lanark Community Health Centre and gained so much experience from my supervisor, Karen Jones. She worked very hard and advocated for RTs in primary care and she grew the program from 3 sites with 1 RRT to more than 10 sites and 4 RTs. With working at the hospital and in the community, I got a good sense of where I wanted to spend the majority of my career. I was frustrated at the hospitals with the amount of time it took to make a simple change – only because big tertiary centers are so large and changing policies/procedures takes a looonnnggg time. Making simples changes in primary care was much easier and there is such a need for RTs in primary care, so it was a perfect fit for me to remain working in primary care. Because of Karen’s guidance and mentorship and the success of the lung health program – I was able to continue her work and advocate for services that spread further than the sites we were currently working out of. I’m also someone who can’t sit still and need to continue to push forward for improving care for clients with lung disease. This may be a downfall, but I say yes to many opportunities that come our way because who knows what may come out of it! Some of the challenges that are lack of funding and lack of communication amongst health care organizations. We are all working to improve the health care system experience, but sometimes it feels like we are all doing it alone. By working together, advocating for change, utilizing existing resources – it can really make a difference. How can other leaders, communities, and health programs learn from your experience? Just reach out! We are all working to continuously improve the client experience, ensure that we are meeting their needs and goals. By sharing our experiences together, we can share what we’ve learnt so far (and I will get some ideas from you as well!). Can you share some thoughts about the role of community based pulmonary rehab programs? A community pulmonary rehab program plays such an important role– it connects people and creates a peer support group, care can be provided close to home and out of hospitals/tertiary care centres. By keeping it in the community and out of hospital, it decreases participants risk of getting sick, participants can be connected to local programs to exercise with after the program is done, it saves the participant cost/time of travelling to a large organization and paying for parking and finally, because our staff work in the community – they may already be connected to many of the primary care providers who send us clients and it makes connecting and consulting that much easier. It is also less expensive to run a community program than a hospital program. How can RTs be more involved with such initiatives (planning, decision making and operations)? Look to your supervisors/managers and share your ideas with them! It always helps if those ideas i) align with the goals of where you work ii) improve the client experience iii) improves outcomes/quality of care and iv) saves the organization money! And don’t get discouraged – sometimes these things take time – but when the ideas come to life – it’s all worth it. Any advice on how new RT’s can build up their leadership experience? Get involved in your provincial and national associations – even if you’re fresh out of school! You can learn so much from RTs across Canada and you never know when those friendships produce an opportunity. I was on the CSRT Board of Directors in 2007 – 3 years after I graduated – and to this day I still meet up with the friends I made while I was on the board and that experience of serving on a national board really opened up my eyes as to how the profession worked. Can you tell us a little bit about your experience working as Quality Standards Committee for COPD, part of Health Quality Ontario? Health Quality Ontario – COPD Quality Standards Committee was a great opportunity for me. 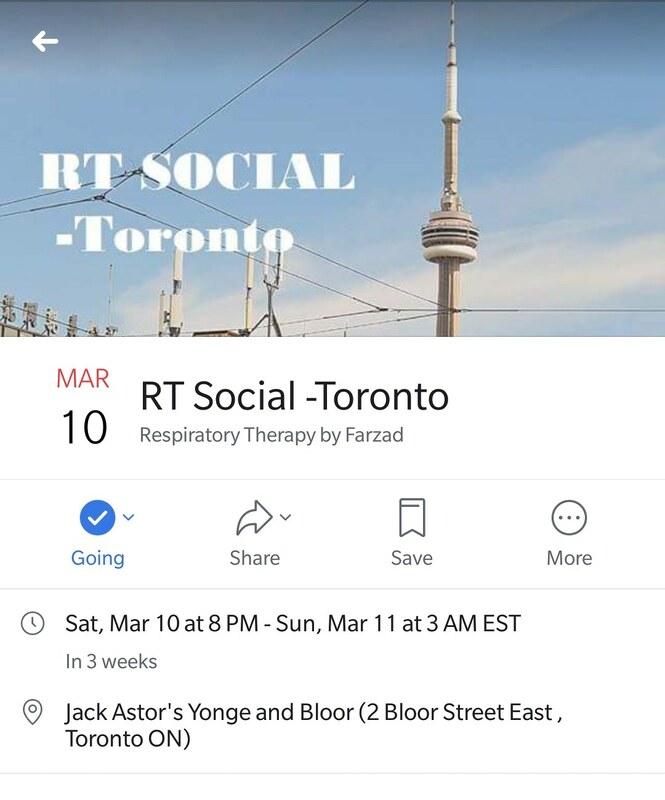 I was able to be a part of a provincial group, bringing together top players and lived-experience advisors to talk about COPD in primary care – something I am very passionate about! It was great to ‘dream big’ and produce quality standards of care that people should receive if they are diagnosed with COPD. They will be officially released in Spring/Summer of 2018 and it will be great to see how practices are changed based on these quality standards. What is the next big growth area that you see for the RT profession? I believe that the trend now is to have more RTs working in primary care. Traditionally we have been a tertiary care discipline – and the majority of our training is focused around working in critical care areas. We are seeing more and more RTs taking on a role of a case manager in primary care, managing chronic ventilated patients in the community, running rehab programs, delving into the management of cardiac conditions – it is so exciting! Primary care wants RTs to work with them. Not once have I heard a primary care team say: we don’t need an RT. They are calling asking: can you send us an RT? J I encourage RTs who are interested in working in the community to take the certified respiratory educator course and look for opportunities in primary care. It may start as spirometry screening and grow into a pulmonary rehab program – you never know! How can RTs be more involved with decision making and planning in the hospitals, communities and ministry levels? As mentioned above, start by getting involved with your professional associations (many of them are working at the ministry level), local lung association or find a task force/working group or committee at your hospital to get involved with. Maybe there isn’t one? If you have an idea and some support – create one! Any advice on how RTs can expand their framework to support each other in a uniform and national way? Join your professional and national association! Your regulatory college is there to protect the public – your professional associations are there to promote RTs and work for you! The worst thing I hear is people complaining about their lack of pay, their lack of respect amongst other health care providers, the lack of change in their job – want something to change? Get involved! There are some amazing, engaged RTs in Canada who are facing the same struggles that you may be facing – and by working together, we can make a difference. Thank you Christina for allowing me to share your perspective and views with others. Also, thanks for your great contributions to the field of Respiratory Therapy!